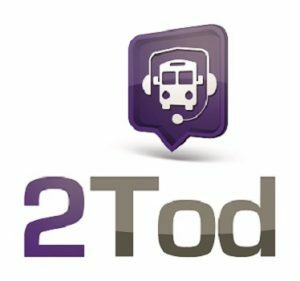 Our 2Tod solution makes transportation available to passengers on request. Ideal for less densely populated areas or off-peak journeys. An economic alternative to regular public transportation, designed to adapt to local needs. Want to know more about the benefits of our 2Tod solution? Having examined the advantages and disadvantages of the various demand-response transportation services in France, some of which have very limited budgets, we realized that the only solution to limit the cost of demand-response would be to outsource it to a provider– but without having to pay for the costs of drivers waiting while they were on call. So, in order to tell them which trips were needed and monitor which ones were picked up in real time, we needed a system that would link our central bookings service to the provider, which Ubitransport was able to develop quickly, based on a back office and a smartphone app that carriers could download free of charge. 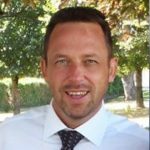 Apart from the very user-friendly back office and a smartphone app that’s easy for the providers to use and quick to configure, we can quickly increase the number of providers listed if customer demand increases. The GPS function in the smartphone app also allows providers outside the area to take trips. As a result, the 2Tad solution has been a success for us and we are eagerly awaiting the development of other modules for the product, such as a bookings platform.